These words could certainly apply to Jeanne de Clisson, a French noblewoman turned pirate who was known as the scourge of the Normandy coast during the early years of the Hundred Years War, in the mid-14th century. With a fleet of only three ships painted black with red sails, she would go down in history as one of the most vicious pirates of her time. Jeanne’s grudge against Philip VI of France started when the King executed her husband, Olivier de Clisson, for treason. Jeanne’s heart was broken and from this moment on her life became one of vengeance and piracy to get back at the crown who had wronged her. 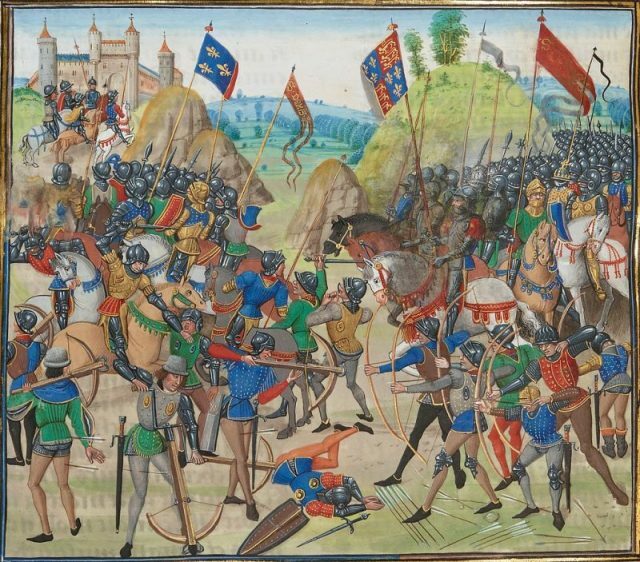 The Hundred Years War — a series of conflicts in which two ruling houses, the House of Plantagenet (who ruled England) and the House of Valois (who ruled France), battled for the French throne — lasted from 1337 to 1453. Following the death of the Duke of Brittany, John III, in 1341, both houses claimed the right to control this strategic region of northwest France. Frenchman Charles de Blois was named the new Duke of Brittany, and the English challenge was led by John Montfort. 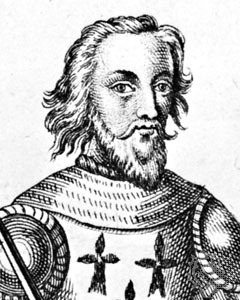 Olivier de Clisson, who fought in the ranks Charles de Blois, was captured by the English and a ransom was set for his freedom. 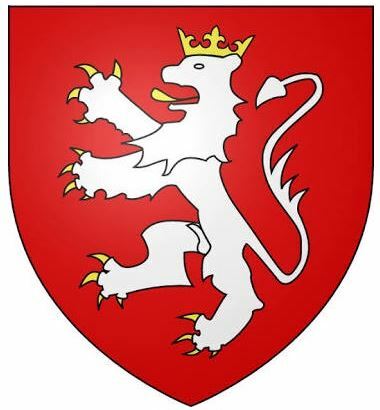 Exécution d’Olivier IV de Clisson, 1343. Judging the ransom as too low, De Blois was became suspicious of Olivier’s loyalty, presuming that he was sent back as a spy. 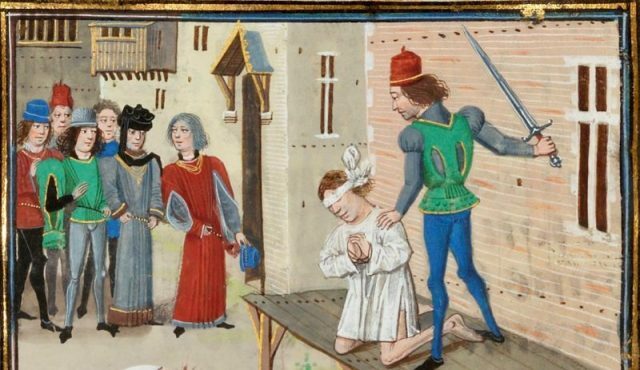 Although without any substantial evidence, King Phillip backed De Blois’ claim, ordering Olivier’s capture and public execution — a sentence reserved only for common criminals. It was certainly not a dignified way for a noble to go. This came as a shock to local aristocrats, who were even more appalled when Olivier’s head was impaled on a spike and exhibited in the region’s capital, Nantes. After this, Jeanne swore to get her revenge. Allegedly, she even took her two sons to see their father’s head on display to entrench their hatred towards Phillip VI and his accomplice, Charles de Blois. Olivier’s property was confiscated, leaving Jeanne and her children homeless. Forced to sell all her belongings, the widow used the funds to raise a small army, advocating for the secession of Brittany from France. During her campaign she made several attacks on French outposts, massacring the garrisons, making no exception. However, once news reached Paris, the element of surprise was lost for Jeanne de Clisson. 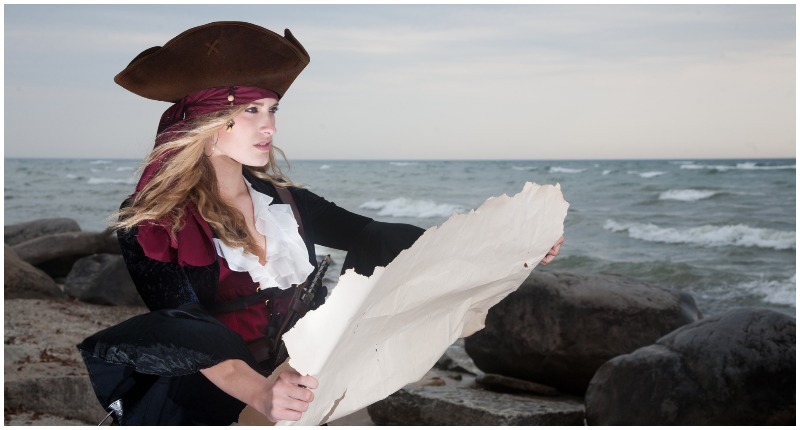 She turned to piracy, as it proved easier to conduct hit-and-run actions at sea. Her “Black Fleet” began raiding transport vessels belonging to Phillip VI around the year 1343, disrupting supply lines and crippling the French army. In her quest for vengeance, she was not alone. 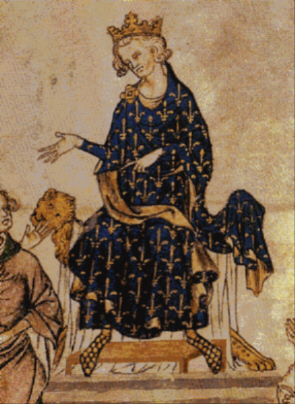 Jeanne, who earned the nickname “Lioness of Brittany,” was sponsored by both the British and separatists within Brittany. In return, she provided the English with supplies during the Battle of Crecy in 1346. Standing tall on her flagship My Revenge, Jeanne de Clisson patrolled stealthily across the English Channel, harnessing great wealth through pillage. She was known to be especially merciless when encountering aristocrats loyal to the French crown. Tales of her cruelty echoed all the way to the throne room in Paris, as she would usually leave one or two survivors to tell stories first-hand. By 1350, however, Phillip VI was dead and the House of Montfort took power in Brittany. Nevertheless, Jeanne continued raiding French ships as the Hundred Years War raged on. After her flagship was sunk during a battle in 1356, she was adrift for five days together with her sons. One of them died of exposure before they were rescued by the Montforts. After this terrible mishap, Jeanne de Clisson, The Lioness of Brittany decided that she would be a pirate no more. Forced her to seek security for herself and her surviving son after their life of adventure, she married Sir Walter Bentley, a high-ranking officer in the English army, and settled in the port town of Hennebont, which was under the protection of her allies, the Montforts. There she lived until her death in 1359. Her story has been an inspiration for many written accounts and legends. Although there is evidence of her existence and many of her actions in a court verdict, pronouncing her guilty of treason in absentia, as well as several mentions in other documents confirming her alliance with the English. In the end, she did get the revenge she sought, as her actions largely contributed to several English victories.